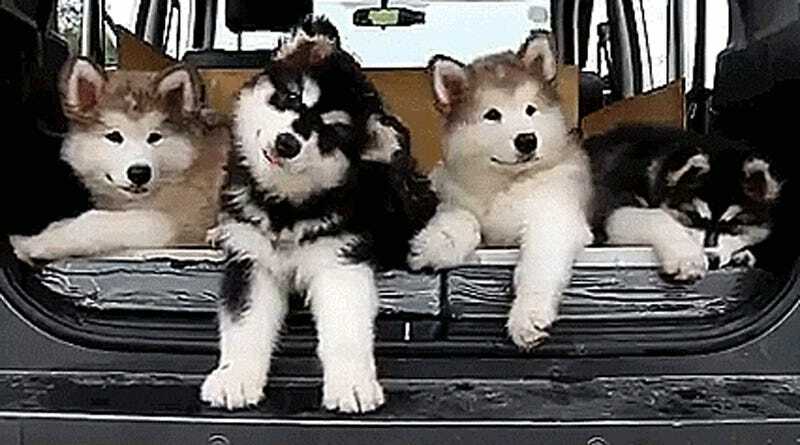 If the turn signals stop working in a Japanese microvan full of Malamute pups, all the driver has to do is open the rear hatch and voilà– adorable directional indication! Can’t imagine what’s really making these puppies crank their necks so quizzically. Probably has something to do with food. But I saw this and couldn’t help think of “Wanky the safety cat,” proud creation of Jalopnik alum Murilee Martin. For those who didn’t read Jalopnik in 2007 or JC Whitney catalogs in 1982, “Wanky” was a knockoff of “Winky” which was a stuffed cat you put in your rear window sill. Its eyes would blink in sync with your turn signals and be generally disturbing. I think these dogs are a lot cuter. Too bad you can’t really tell them which way to wag.